Many happy childhood memories involve days spent on, in, or near water, and getting out of doors, doing something fun and physical, is definitely a good, and vital, part of a child’s growing up. 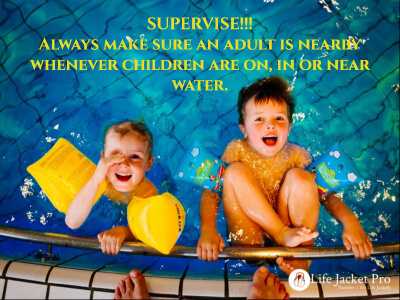 However, water has dangers for all ages, but particularly for children, and so it is important to ensure that your kids can have fun and be safe. Swimming should really be considered an essential lifeskill for everyone, even if you don’t live near water. Once you’ve learned to swim, it’s a skill you don’t forget. 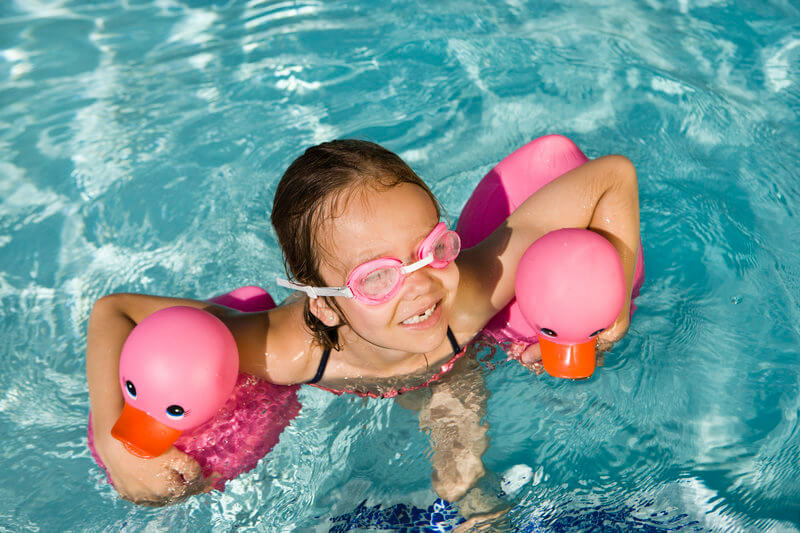 If you do live near water, or regularly vacation on or near water, learning even basic swimming techniques could save your child’s life. Plus, swimming is a fun way to get your kids taking physical exercise, so, really, swimming lessons are an all-round win. As with adult lifejackets, a child’s life vest shouldn’t be too big, or too small. For younger children, a self-inflating lifejacket that assists them to keep their head above water is a must. Also, again, as with adult lifejackets, make sure that your child’s life vest is suitable for the kind of activity they’re involved in. No one is too young for a lifejacket – there are several excellent infant lifejackets available, so there really is no excuse for not protecting the whole family. Lightning is drawn to water, as well as trees – many rivers have bankside trees, making them particularly hazardous during storms. Teach children from an early age, by your own example, to leave the water as soon as the weather begins to turn for the worse. Ideally, teach them to leave the water as soon as the water temperature drops, even slightly, as this is often the first sign of adverse weather moving in. Remember: weather can move faster than you’d think. This is another situation where you should teach your children by example, from as early an age as possible: ensure that, by the time they are old enough to enter water on their own, they are confident and comfortable finding a lifeguard, and asking about currents, rip tides, and other water conditions – and that they will understand the answers given. Also, make sure they can accurately interpret flags and warning symbols posted on beaches, and near other bodies of water. Remind them that, whenever they’re in or on water, they’re entering the habitat of other lifeforms, most of which are harmless – some of which are not. Ensure your children know how to recognize dangerous plants and animals in the water, and that they know what action to take should they be attacked or injured, as well as how to avoid attack or injury in the first place. Also, remember that it is not just aquatic life that can cause problems – rats can contaminate water with their toileting, and ticks living near water often carry Lyme disease. Always make sure an adult is nearby whenever children are on, in or near water.